The Neurosciences Institute is home to more than 70 research laboratories with over 230 faculty dedicated to the study of various neurological and psychiatric disorders and diseases. Take a moment to meet our scientists featured here to gain insights and learn about their fascinating research projects that are currently underway here at Stony Brook. We'll be spotlighting more scientists along the way, so check back in again soon. 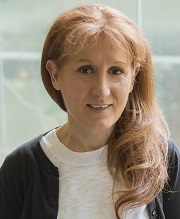 Maya Shelly, PhD, a neurobiologist, earned her PhD in (2004) from Weizmann Institute of Science, Rehovot, Israel. Dr. Shelly was also a postdoctoral scholar (Developmental Neurobiology) at the University of California, Berkeley, before joining the faculty of Stony Brook University in 2011 as Assistant Professor in the Department of Neurobiology and Behavior, and is now an Associate Professor in the department. The mammalian cerebral cortex is responsible for major cognitive functions including learning, memory, perception and abstract thinking. Developmental aberrations affecting this part of the brain play a key role in intellectual and motor disabilities, epilepsy and autism spectrum disorders. Surprisingly little is known about the molecular and cellular mechanisms that control the development and assembly of the cerebral cortex during embryonic development. Advances in understanding the early events in brain development will provide the foundation for understanding brain function and thus are crucial for development of therapeutic approaches for underlying developmental neuropathologies. Early in embryonic development, the cortical neuron establishes separate compartments of axon and dendrite and migrates to populate different regions of the developing cortex where it forms specific synaptic connections. The goal of my laboratory is to identify the key molecular and cellular signaling mechanisms underlying embryonic cortical development, using multidisciplinary approaches that combine embryonic genetic manipulation using in utero electroporation and delivery of viral vectors, mouse genetics, biochemistry, material engineering, time-lapse microscopy and advanced imaging, as well as electrophysiology and behavioral methodologies. By studying the mechanisms of these basic events in embryonic brain development, in a complementary line of research we aim to gain insight into severe human developmental neuropathologies, including intellectual and motor disabilities, epilepsy, and autism spectrum disorders. 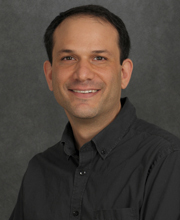 Josh Plotkin, PhD, a neurobiologist, received his undergraduate degrees in biology and music from the University of Michigan in Ann Arbor. He earned his PhD in neuroscience from University of California, Los Angeles. Dr. Plotkin was also a postdoctoral scholar at UCLA and then at Northwestern University before joining the faculty of Stony Brook University in 2015 as Assistant Professor in the Department of Neurobiology and Behavior. At any given moment, our brain is confronted with the daunting task of sorting through a plethora of potential actions that can be performed. Some of these actions are useful and appropriate, and should be green lit. Others are inappropriate, and must be suppressed. The brain has several strategies to streamline this process, one being habit learning. Through repetition, the brain can learn to initiate an automatic response based on what has worked in the past and what has not. The inability to properly do this is at the crux of many neurological disorders – perhaps most notably, obsessive compulsive disorder (OCD). Our lab’s research focuses on the part of the brain most intimately associated with this type of action selection and habit learning: the basal ganglia. The major input nucleus of the basal ganglia, the striatum, is charged with receiving massive amounts of information from wildly diverse parts of the brain. The striatum sorts and integrates this synaptic information and then passes it on to the output nuclei of the basal ganglia, which ultimately make a recommendation about which actions should be performed. We are interested in understanding how the striatum accomplishes this, and what goes awry in disease states. We use cutting edge physiological and imaging techniques to dissect the microcircuitry of the striatum, ask how specific synaptic connections within this circuit are plastically adjusted to optimize behavior, and determine how this is altered in neurological disorders such as OCD. To do this, we pair electrophysiological recordings with 2-photon laser scanning microscopy to record from identified striatal neurons in genetically altered mice. We prove the local activity of postsynaptic dendritic sub-regions using 2-photon calcium imaging, and activate individual, visually identify synapses using 2-photo photolysis of glutamate and optogenetic activation of specific afferents. The combination of these tools lets us interrogate the striatum in a way that has traditionally not been possible, and opens exciting new doors to uncover the underpinnings of disorders such as OCD. Alfredo Fontanini, MD, PhD, a neurobiologist, received his medical degree from University of Brescia School of Medicine, Italy, where he also performed some of his PhD work, before completing his PhD at California Institute of Technology. Postdoctoral training followed at Brandeis University, where Dr. Fontanini was a Sloan-Swartz Fellow for Theoretical Neurobiology. In 2008, Dr. Fontanini joined the faculty of Stony Brook University as Assistant Professor in the Department of Neurobiology and Behavior and is now an Associate Professor in the department. 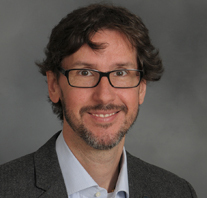 In September 2018, he was appointed Chair of the Department of Neurobiology and Behavior, succeeding Lorna Role, PhD, who served as Chair of the Department for 10 years. Dr. Fontanini is a member of the Society for Neuroscience and the Association for Chemoreception Sciences. He has successfully secured a range of grants to support his work, including several NIH R01 awards, and a very prestigious Presidential Early Career Award for Scientists and Engineers (PECASE), the highest honor bestowed by the United States government on outstanding scientists and engineers in the early stages of their independent research careers. In our everyday life, sensory perception has a very rich phenomenology: no stimulus evokes the same sensation twice. Imagine you smell the fragrance of a freshly baked cake; it’s your favorite one, you are craving sweets and on top of that it’s your birthday. The smell is great and the taste glorious. Now, imagine you are not hungry, or you just got sick, or you are simply in a bad mood. In all these cases, you will not perceive the odor and the taste of the cake in the same way as in the first situation. This is just a simple example of the many ways in which the internal state of an organism can modify the meaning of a stimulus and influence its perception. Our lab is interested in understanding the neural basis of this perceptual richnesss. Specifically, we are studying how different internal/cognitive states modulate neural responses to sensory stimuli in awake behaving rats and mice. Our work focuses on the chemical senses. Taste and olfaction two sensory modalities with a strong ecological bond, are particularly amenable to cognitive modulation in virtue of their natural relationship with emotional, motivational and homeostatic processes. We study the neural responses to odors and tastes, as well as systems dynamics related to different cognitive states, using multisite multielectrode techniques and in vivo intracellular electrophysiology. Various behavioral protocols and experimental manipulations of the brain are used to perturb, in a controlled manner, the state of the animal.